We hope this letter finds you all well. 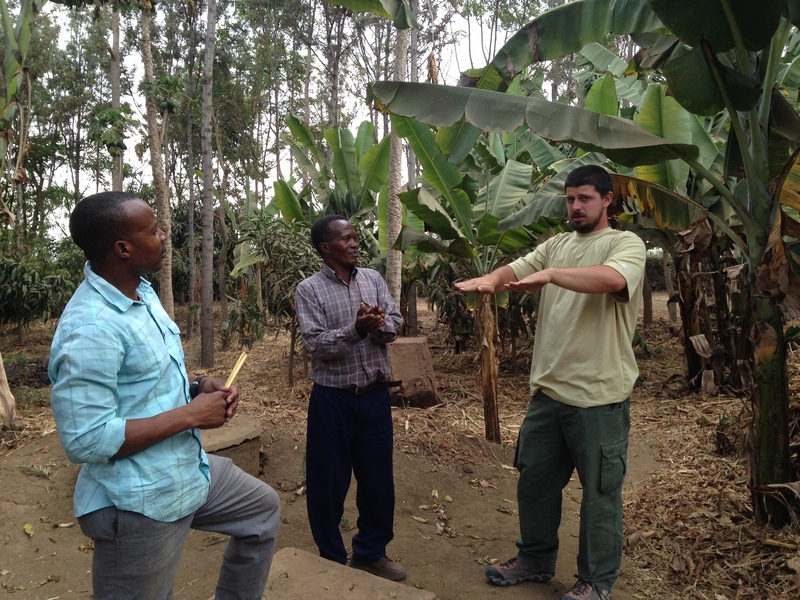 We wanted to update all of you on our future plans in both Tanzania and elsewhere. First, we want to start by thanking all of you. 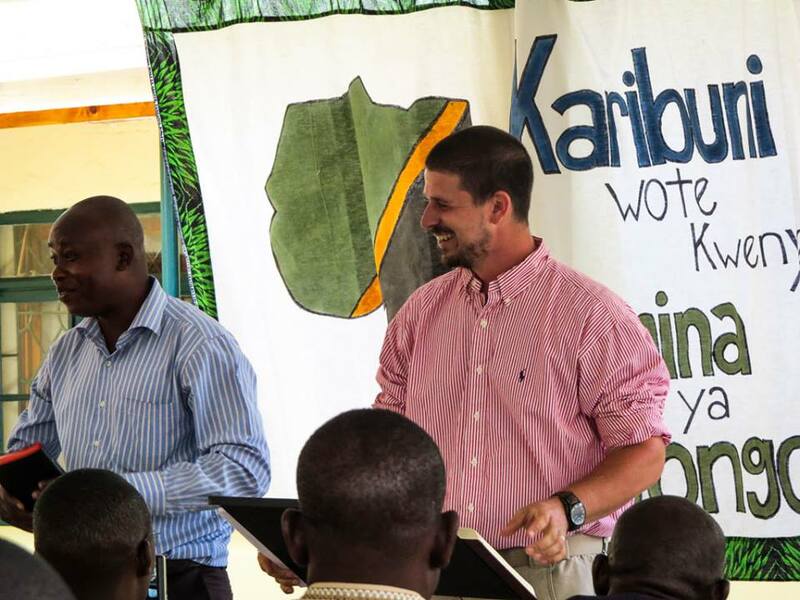 From day 1 of us joining the TZ missions team in Tanzania all of you have been 100% on board. We had heard horror stories of raising and living on support ,and it just wasn’t any of that for us. The Church stepped up and showed us their best side and have been behind us, not just monetarily, but behind us with love, prayers, encouragement, and with joy. We knew going into this that we had to set an end-date. The end-date for the farming project was the fall of 2019. Unfortunately, this date has found us much quicker than we would have liked. However, we have full confidence in the farm team and Agustine’s leadership. 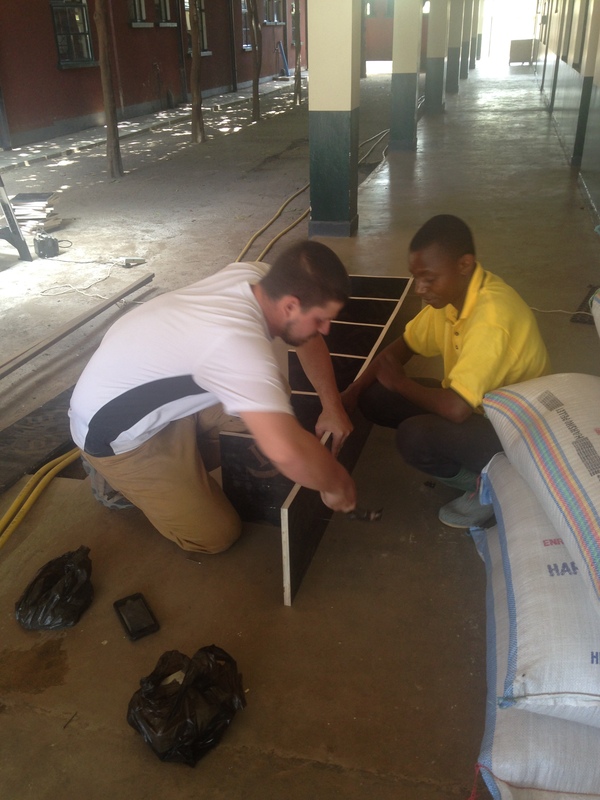 They have been trained and love the project as much as we do and now it will belong 100% to them. We will be working along side of them until July of this year, 2019. Our roll will be a little different this year as we step back and work for Agustine but this has always been the plan and we are excited to see it in action. We also have several seminars set up for when we get back and lots of church and evangelism work. But we ask that everyone no longer send money after July 31st, 2019. As of August 1st we are excited about the new work we will begin in Spanish Fort, Alabama. We will be working with the Spanish Fort Church of Christ as the youth minister. 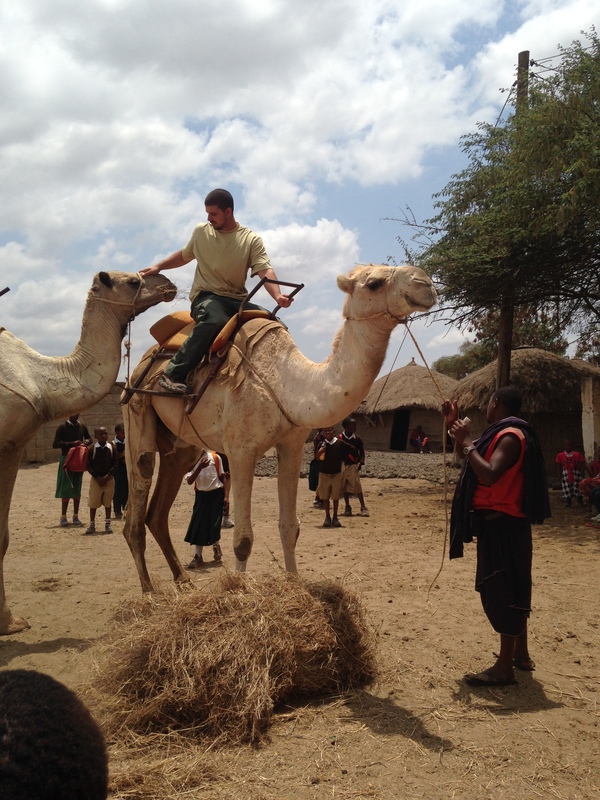 Many of you may be surprised by our stepping away from foreign mission work, we are too. But, on our flight home we prayed that God put us where He wants us to be not where we think we want to be. After many hours in prayer, talking to those we love and trust, and more prayer we feel like God has led us to a great opportunity to serve Him. We are so excited for this next chapter in our lives. Looking back we can see God’s plan for us in all of this and see how he has been preparing and leading us toward this. Pray for us as we are sad to see what we love come to and end ,but also thrilled to start this new role with a Church that in a short time we have grown to love so much. Thank you all for your constant love and support. 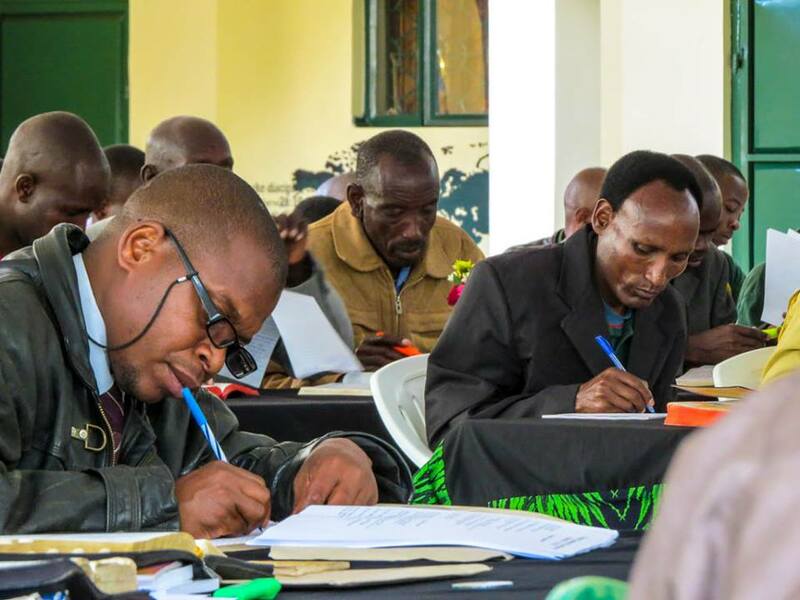 You have played such a huge roll in furthering the Lord’s Kingdom in Tanzania even though many of you have never been to Tanzania. I sat there and listened. The lesson was on hospitality, it was short, to the point and I thought class would end quickly. Instead, a mama to my left raised her hand. Questions at the end of class here are common but not amongst the women’s class. I was intrigued – it was a good and simple lesson, I wasn’t sure how there could be questions. Then she started speaking. Before her question was even translated I understood. Tears filled my eyes, a stone hit my stomach, I silently prayed for grace and wisdom to answer this mama. You see, her question was about Ephesians 6:9. 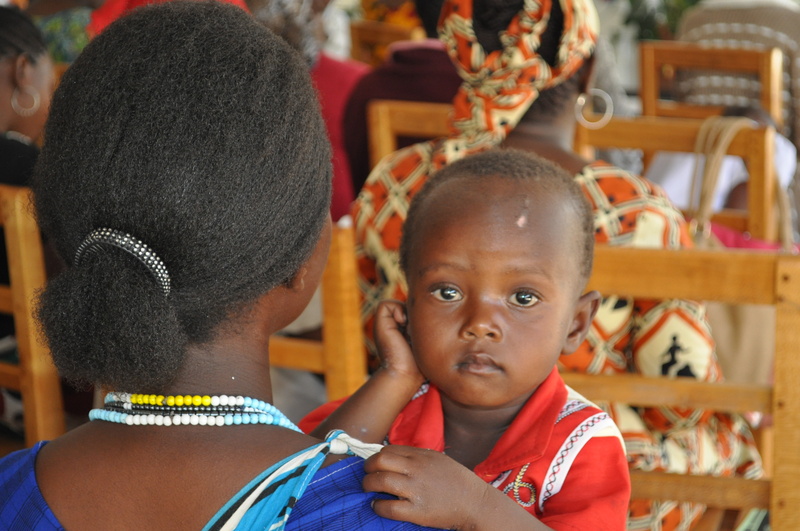 This mama was weary of doing good and I could not blame her. She is poor, her neighbors are poor, and one neighbor in particular can’t feed their family. Every day, 3 times a day, this neighbor is knocking on her door for food. Was she responsible for her neighbor? It was all I could do to swallow the lump in my throat. I have always had so much more than I needed. Even when Justin and I lived pay check to pay check barely scraping by we had enough. In small ways I could relate. Because I have lived a life where we had no excess but the American standard of poor doesn’t equate. I have given to my neighbor when I didn’t know if we would make it till our next pay check. But I didn’t have dirt floors. I had electricity. I had running water. I had a closet with more than a few outfits. I had a car (even if it had no a/c in an Alabama summer). I had enough. It is impossible to compare. And so I looked at my sister in Christ. Her eyes were tired, a bright orange kanga was wrapped around her shoulders and head – to them it was a cold morning and they had walked miles through the rain and mud to church. 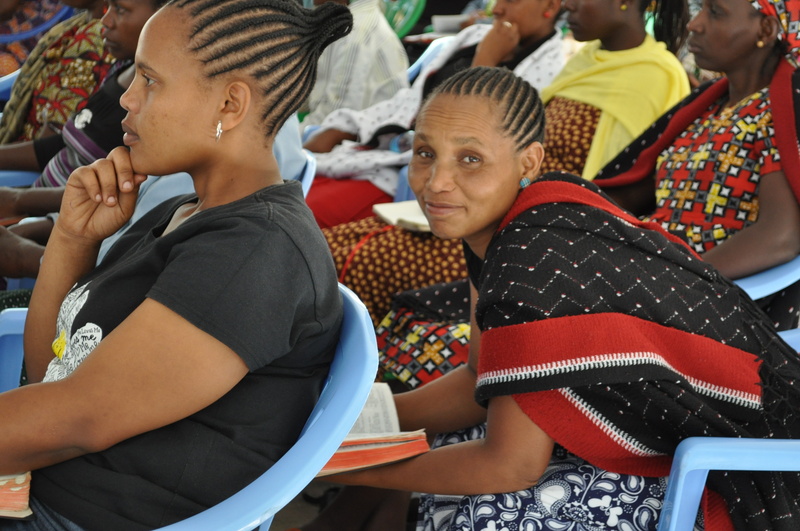 I looked at the Bible, I looked at her, I looked at my translator – what did I say? Every woman sitting in that room awaited my response. They knew cold, they knew hunger, and likely they were both as they sat in that classroom. I drew a breath and began. I started by commending this mama for her love and kindness. I told her she was doing what was right by taking care of her neighbors. I told her it is hard – doing good. That is why this is written. The Apostles, Jesus, they knew we would grow weary of helping one another, especially when our lives are difficult themselves. My warm blood turned to ice in my veins and chill bumps ran down my arms. I know her children. 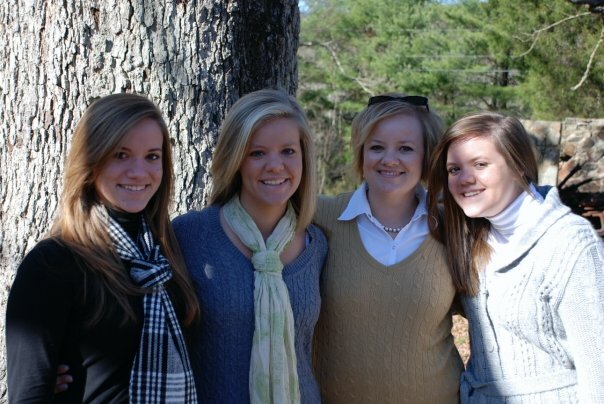 One daughter in particular is near and dear to mine and my sister’s heart. She was in my sister’s Bible class at a youth camp we helped with. I worship with this family every week. I have been to their home. Honestly, I thought my heart might rip into pieces. We talked a while more using only scripture. But what I want to say is this – I have heard this same argument in America 1,000s of times but by people who have more than they need. By people who live in excess. People who have never known real hunger or cold. My blood used to boil, those of you who know me know how this topic angers me, and I would get so tired of telling others that they just need to give as the Bible says. Yet, the arguments would begin – if I give them money they may spend it on alcohol, drugs, etc. If I give they will become dependent. I already gave once – how many times am I to give? Or the one that really made me want to scream – they (other Americans) aren’t poor compared to others in the world. My heart is beating out of my chest because just writing the arguments makes me angry. Jesus didn’t tell us give only under certain stipulations – He just told us to give. He told us to help. He told us to love. Stop making excuses, America. 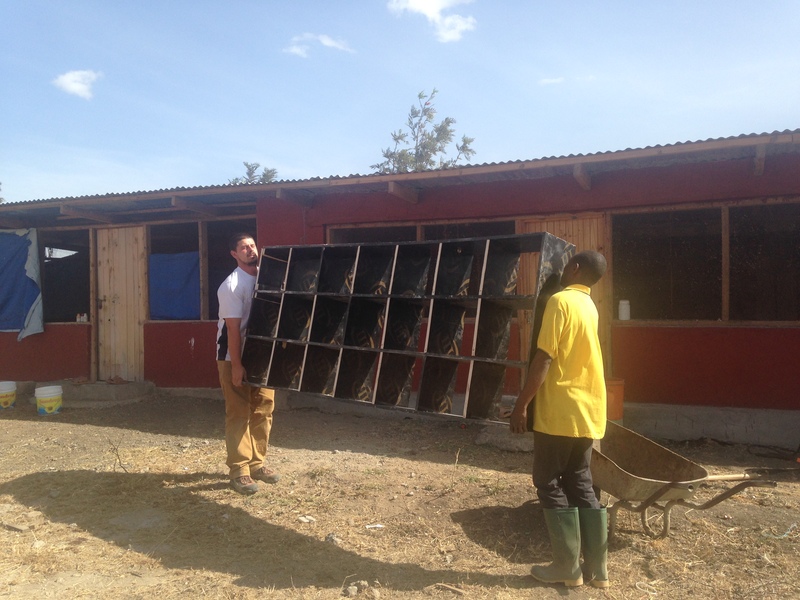 You have so much – why do you not love your neighbor enough to help? Don’t take this story and want to help just here, in third world countries, take this story and look at your neighbor. Yes, the one in America. Give friends. Give until it hurts. Love. Love until your heart feels it might explode from your chest. Then, give and love more. Here is a woman in extreme poverty who has given until she is weary – what is your excuse? Being 8,123.8 miles from home (approximately because I had to use LaFayette as opposed to Villanow and Arusha as opposed to Kisongo) has had me thinking a lot about what the Bible says about discipleship and the Kingdom. In Matthew 4:18 we have where Jesus told Simon and Peter to “follow me”: Now as Jesus was walking by the Sea of Galilee, He saw two brothers, Simon who was called Peter, and Andrew his brother, casting a net into the sea; for they were fishermen. And He said to them, “Follow Me, and I will make you fishers of men.” Immediately they left their nets and followed Him. In Luke’s account in chapter 5 vs 11 this happens: And when they had brought their boats to land, they left everything and followed him. 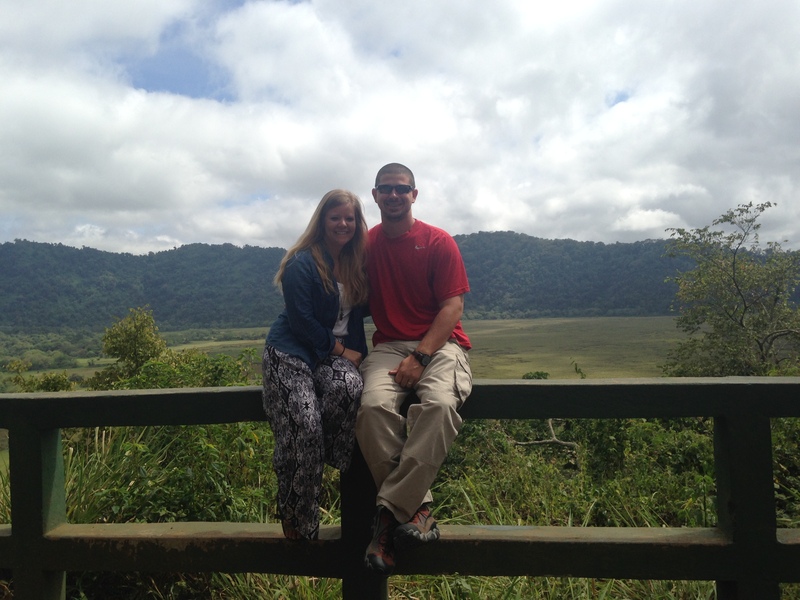 We have dear friends here in Tanzania, Tiffany and Daniel Gaines, who did just that three years ago. They sold everything and followed him. They left their friends. They left their family. And as a result, they have missed out on a lot by the world’s standards. 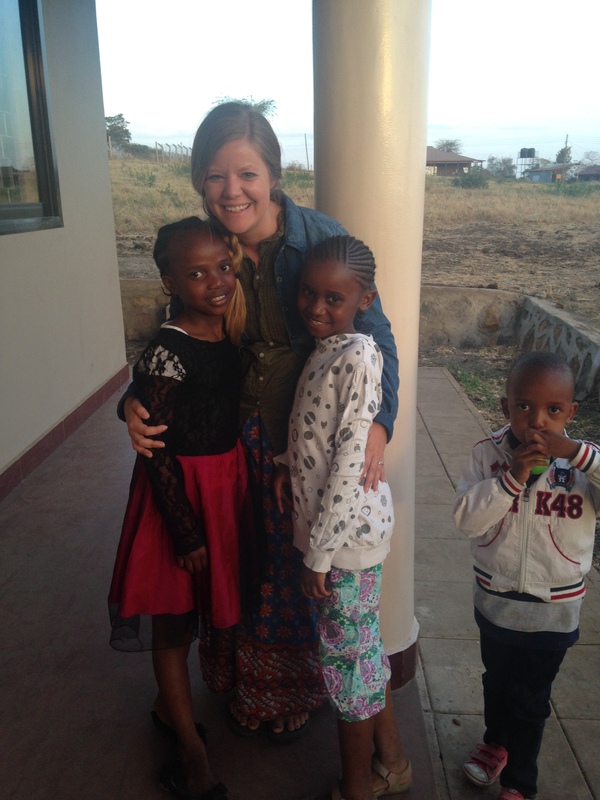 When they moved to Tanzania their children were 1,2, and 11. Tiffany had no one to share in the “baby experience” with. She had a 1 and 2 year old in a 3rd world country where on Sundays church service are a minimum of four hours. Every week church services were a struggle. Their family missed out on her little boys learning to walk and talk and all the fun things families share in. It was hard for her not to long for the cute American outfits and simple, easy, fun American baby raising. Their preteen daughter has missed out on having friends her age. That is really difficult. Maturity levels for the Tanzanians are very different than Americans. And culturally it has been difficult for her to relate to others her age and for them to understand her. She has longed for Lads to Leaders, CYC, and youth devos. On a superficial level (Yep, all of us have that level.) they miss fast food, having a dryer and a dishwasher, restaurants, shopping, and clean water. This year they return home to America. At forty, the Gaines will be starting all over. What a daunting and terrifying challenge. They literally have nothing. They sold it all when they came here three years ago. He never said following Him would be easy. But it will be worth it. When Justin and I lived in America we tried to put the Kingdom first. It was hard for many reasons. But, when he was a coach it was nearly impossible. Why? Because we live in a culture where ball comes first. Practice comes first. Games come first. I’m here to tell you that if you never missed a Church service due to ball practice, good for you. You can pat yourself on the back. But, if you do not study your Bible AS MUCH AS you practice ball… the Kingdom is not coming first. If you do not tell others about salvation and Jesus Christ AS MUCH AS you give a play by play of your weekly games… the Kingdom is not coming first. Go ahead, roll your eyes. But I have been there. I have walked it, talked it, and argued it (you know me). Following Jesus means denying all else. Many people have said to Justin and I, “how can you leave when your grandmother may die while you are gone”? How? Because Jesus answered this for us. “Leave the dead to bury their own dead. But as for you, go and proclaim the kingdom of God. This week my Nana died. But, the Kingdom comes first. Jesus may seem harsh, but what we should see is his love. He puts the Kingdom first. He knows that the only way for us to be together for eternity is by spreading the Gospel of Jesus Christ. Justin’s grandmother is very sick. We love her dearly. But, it is not a sacrifice if it costs you nothing. My sisters and I are very close. I would like to be home helping Samantha plan her wedding. Last week, I found out Ty isn’t coming here for the summer, but she is staying home to help Mom and Dad on the farm and help Samantha with her wedding. Did I like this news? Of course not. Last month Jane Goodall was less than 30 mins from us giving a speech. Many of you may care less. My inner geek was having heart palpitations. But it was the same day as one of our children’s seminars. And the Gospel comes first. It is not a sacrifice if it costs you nothing. Now, before all of you start treating me like a saint on facebook. That is not my intention. I don’t tell you these things so you can pat my back. I tell you this so that we can relate to one another. I understand. I understand that it is hard. I understand that you have to give something up that you really want. Christianity was never meant to be easy. Most people think our lives here are all sunshine and rainbows. They honestly think we hold babies all day and our lives are a constant VBS. We love it here. But, it is filled with challenges. Every day presents some kind of crazy ordeal. 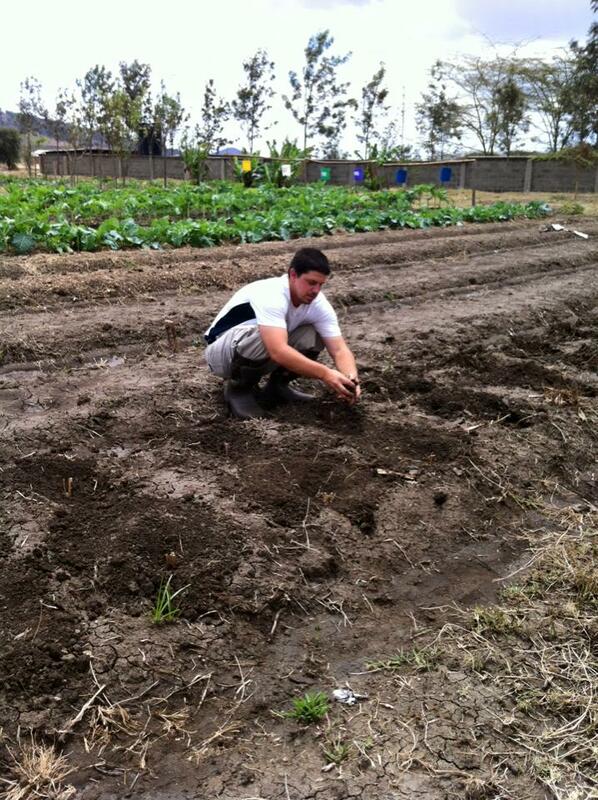 Justin works 50-60 hour weeks on the farm and it is back breaking work. Everything is done by hand here. Our vehicles get stuck somewhere on a weekly basis. We are in the rainy season so we are constantly muddy and wet as we go from Bible study to Bible study. If you knew you had to walk through the mud and rain to church… would you still go? I want you to see that we struggle too and we understand. We aren’t super Christians. But, we also see the end goal. We understand that the Kingdom comes first. Do you understand that? Here is my question to you today: What is following Him costing you? When the Kingdom comes first…. 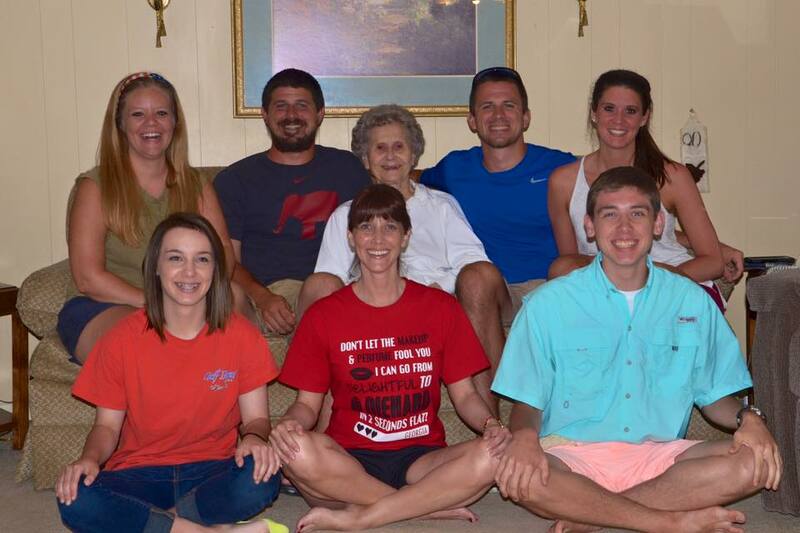 Family comes second. When the Kingdom comes first…. Ball practice comes second. When the Kingdom comes first…. Comfort and security come second. When the Kingdom comes first…. Work comes second. When the Kingdom comes first…. Retirement comes second. When the Kingdom comes first…. Happiness comes second. When the Kingdom comes first….I am second. 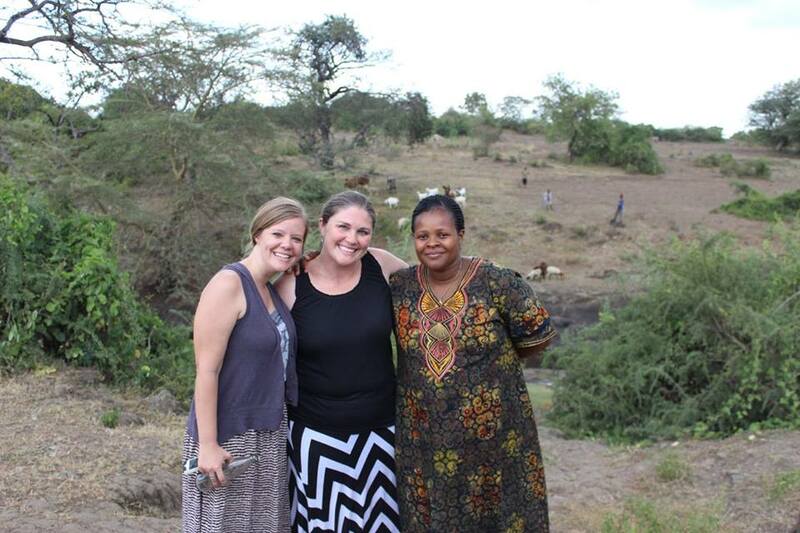 Anna, Tiffany Gaines, and our wonderful friend and sister in Christ Jane Massawe. As a child, I was obsessed with a book by Steven Kroll called “Dirty Feet“. It was mostly because I could relate to the main character, Penelope. I hated wearing shoes, and as a result, I often had very dirty feet. As I grew older my disdain for shoes continued. In fact, if I had to wear shoes, I would wear sandals so I could remove them at my convenience. When Justin and I were married, no one in the wedding party wore shoes. Why would we? 😉 Barefoot is so much better. Since I have moved to Africa, my feet have found themselves in some yucky situations. To be honest, in order to go anywhere and do anything, you have to learn to live with dirty feet here. Recently, Justin, Garry, Samm, and I were headed to church on a Thursday night. Samm and I had just finished a Bible study with a local woman when the “bottom fell out” as we say. It did not rain just a little, it flooded. To get back to our car in time for church we found ourselves slipping and sliding in the mud. Then, once we were back at the school, we walked to church. There was no avoiding the mud puddles. By the time we got to the church builing we both had muddy feet, and splashes all up our legs and skirt. 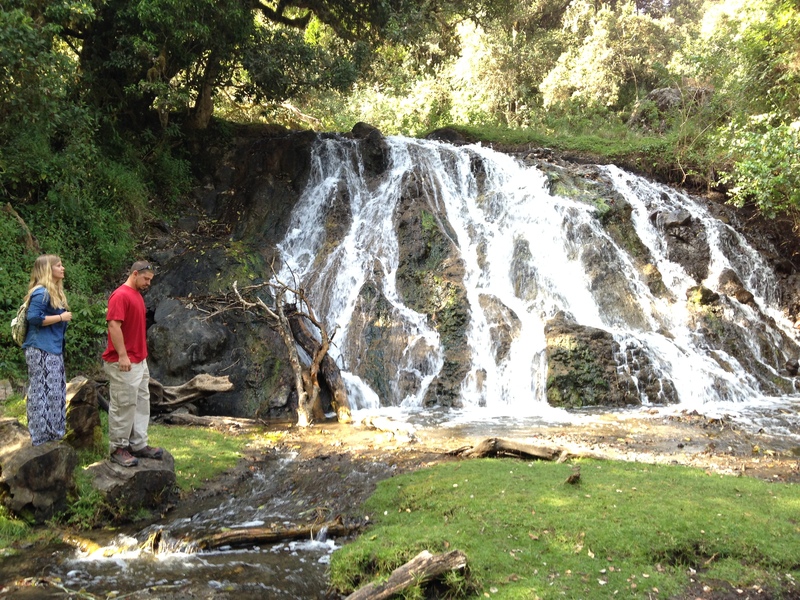 Saturday, Tiffany Gaines and I were walking around Boma Ng’ombe before the children’s seminar. It was dusty, and piki piki’s rushed by with no mind to how close they were to us, or the cloud of dust they covered us in. It was then that we looked down at our feet. They were so dirty and it was not even 10 am! I certainly would not consider our dirty feet beautiful by the world’s standards. But, I do not judge beauty by the world’s standards. 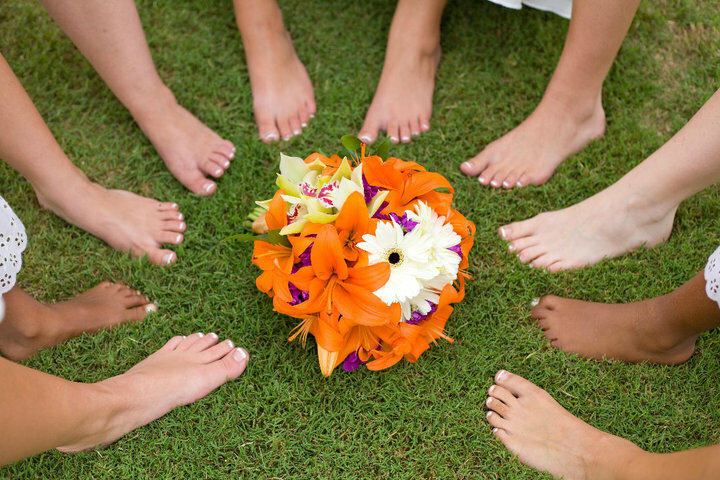 No, beauty is judged by the eye of our Creator and He loves dirty feet that carry the Gospel. So, I ask you, are your feet dirty? Are they covered in mud as they trek from sinners house to sinners house? Are you ankle deep in mud as you do your best to make it to worship? Are your feet covered in the dust of life as you welcome children to hear God’s word? If they aren’t, I encourage you to go out and get your feet dirty. I pray that this week, your feet are beautiful in the sight of the Lord, though the world may find them nasty. I believe this country has a way of getting in your blood; it courses through your veins, it pumps through your heart and before you know it, you are new. You know that you can never go back to the person you were before. The scales have fallen from your eyes, the African dust clings to your feet, and your heart beats to the sound of a tribal drum. 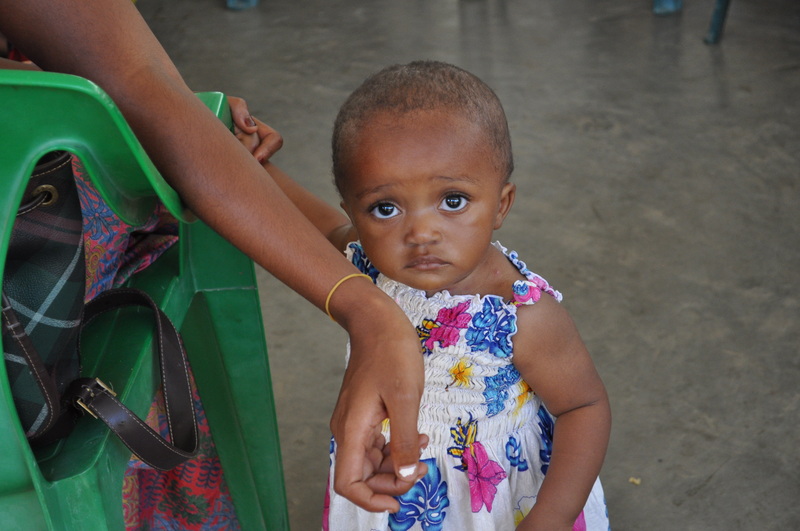 For the first time, you see the hungry eyes yearning for the Gospel. You hear from the lips praises to Mungu (God), despite desperate conditions. Where you once saw poverty, you now see love. Where you once saw defeat, you now see hope. It changes you from the inside out. And you can never go back to who you were. The need here is great and we are only a small part of God’s bigger plan. We love the people here so very much. It is with much prayer that we have decided to renew our commitment to the work here. We are committing, Lord willing, to three more years beginning this fall. 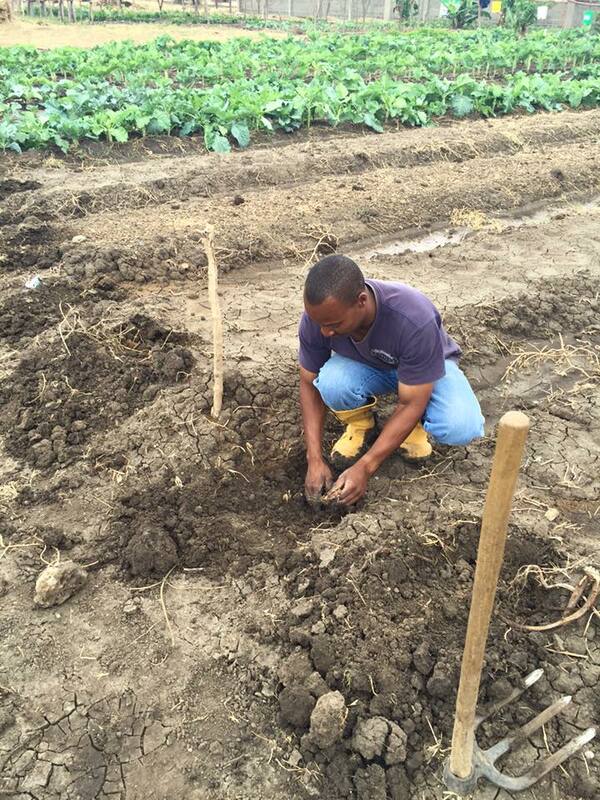 There are plans to expand the farming project and we want to see the project through. We will come home for furlough (the exact date isn’t set) around September to raise funds. We ask for your prayers. If you or your congregation would like to help support us, or would like us to come and give a presentation please send us an email (themaynardsfarm@gmail.com). I ask that you please remember Cy Stafford in your prayers. He is fighting for his life and Africa still needs him. Pray the Lord heals him and returns him to the work here. While our friends and family sleep in America, Thanksgiving Day has arrived and is in full swing here in Kisongo, Tanzania. No, the Africans don’t celebrate Thanksgiving 😉 but that does not stop us missionary families. This morning, while Samantha and I peeled potatoes in the kitchen I was reflecting on celebrating this holiday in a foreign country and I thought I would take the time to share my thoughts with all of you. This year I am thankful for power (electricity). Sure, often times we mention this around this time of year. We are often aware that many families around the world go without. But this year I am thankful not just for consistent power but for the moments that we have power. Power is far from consistent here and so I am learning to be thankful for the 5 mins when we have power and I can nuke my kahawa (coffee). I am thankful for the 20 mins of power when I can take a quick, warm shower. I am thankful for the 2 hours of power when I can communicate with friends and family. And on those rare days when we have power for 12 hours or so – I am so grateful to be able to wash clothes, shower, (maybe) blow dry my hair, watch netflix (ha! ), and facetime family. I am thankful for family that understands; family that sees the bigger picture. Our time on this earth is fleeting and our entire purpose while we are here is to serve God. Missing 1 or 20 Thanksgivings is but a tiny blip on the agenda of eternity. I am thankful for friends who come together as family. Friends who see that we are a part of God’s family and Thanksgiving/Christmas is not a time to shut our doors and celebrate with only our blood family but a time to swing our doors open wide and bring in our friends and family from our Church and community. I am thankful for butter (despite it rivaling gold in cost), sweet potatoes brought from America, cheese (even though it also costs as much as gold), and turkey that takes every missionary pitching in to purchase (they went down this year – only $90!!). I am thankful for my Lord and Savior Jesus Christ. I am thankful that His love has no borders – just as ours should have no borders. There are so many more things we can be thankful for this year – like our health. When you count your blessings today – think of those small things. The things you often forget to be thankful for. But there is one more part of the word Thanksgiving and that is – giving. While we are to be giving thanks today (and every day) what are you doing to give back? How are you giving back to God and your fellow man? This is the thought that struck me most today as I thought about how all of us here were giving in some small way to make today happen half way around the world. Everyone is contributing either financially, in food, or in time to make this day like home. But more than that we are coming together not as a family related by blood but by a family united by our Lord and Savior Jesus Christ. Who are you opening your home to today? Who are you taking time out of your day to serve that isn’t your family? Growing up my family did go on vacation many Thanksgivings. But if we did not, we spent them at the soup kitchen serving our community. We also spent every Christmas Day at the soup kitchen. Personally, I think it did more for us than anything aside from the Bible could possibly do. Putting aside a day when we usually think of ourselves, what we want, we put others first. Today – my prayer is for you all to do that. Open your homes to someone that is not your family by blood. Someone who has no where to go or no family near by. My sister Ty is bringing home an exchange student from Scotland who needed somewhere to spend the holidays. Just open up your eyes and heart – there are people all around. While we give thanks here in Africa and give of our time and selves to others I pray that in America my friends and family do the same. 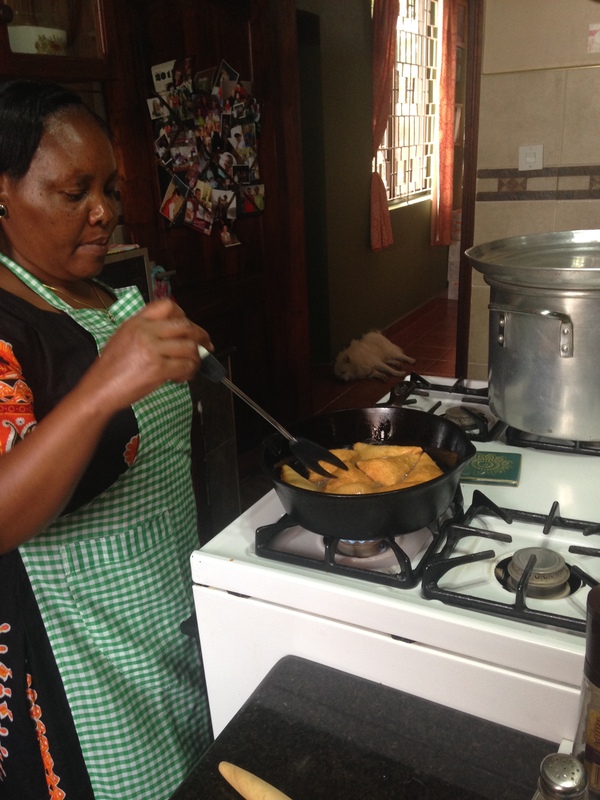 Since Justin has a meeting every Monday morning, Samantha and I asked Agnes (she cooks lunch for us during the week – she is the best) if she would teach us to cook different things. In America, I can cook almost everything. Here, I am learning. I have to remember not to use the sink water, how to make everything from scratch, and how to use a gas oven and stove (not TOO big of a deal but an adjustment). Everything takes longer here and it is difficult to make these new adjustments a habit. Even washing dishes is different here. We fill one sink with hot water and soap and the other with warm water and bleach. We wash in the soapy water and rinse in the bleach water. Everything is just a little different. 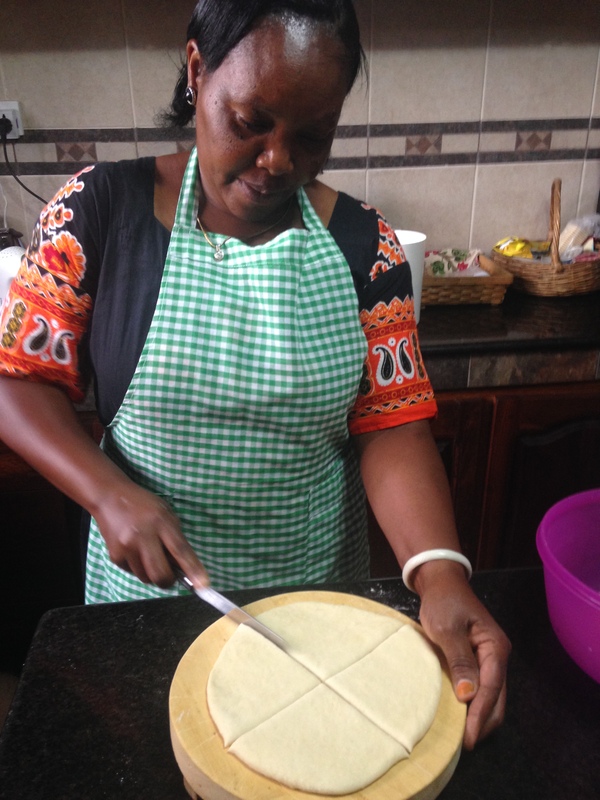 Last Monday Agnes taught us to make our FAVORITE thing since we moved here. 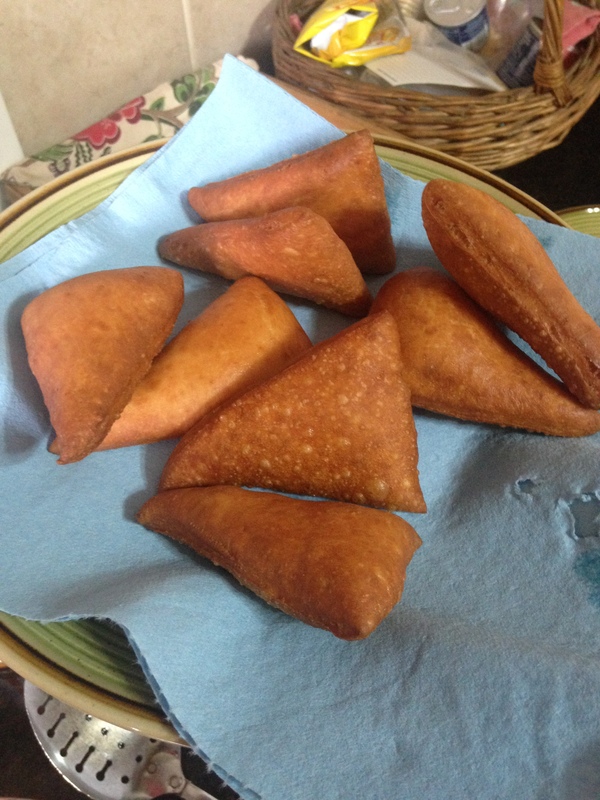 They are called Mandazi’s (Mahn-dah-zee). 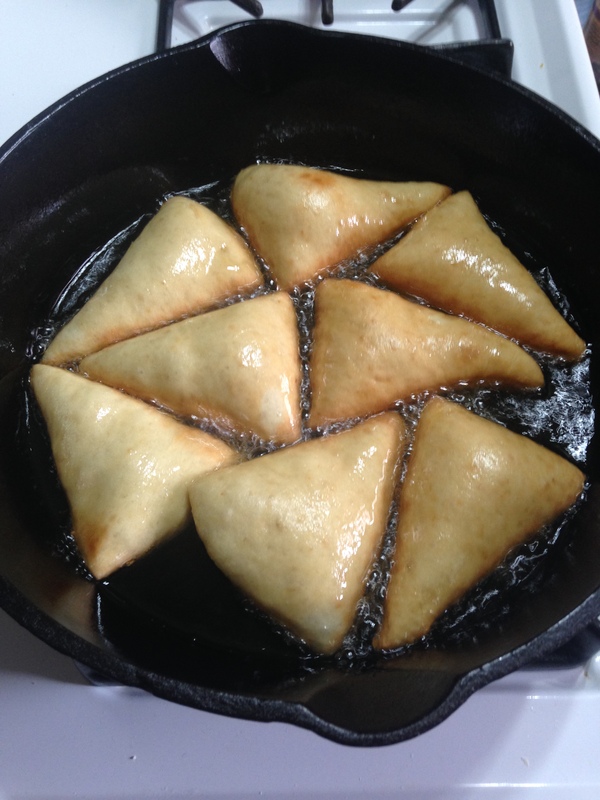 They are triangular shaped, fried pieces of dough. I am not sure what to compare them too. They are kind of a doughnut/beignet cross. They are delicious by themselves OR with honey or powdered sugar. I think I could literally eat my weight in them. I am going to walk through the recipe with pictures and then I will post the recipe at the bottom! Make sure your hands are clean and kneed the ingredients into a ball. Cover your bowl with a towel and let sit for 30 mins. Flour a small area and roll out your dough. You want the dough to be rolled out thin but not too thin. 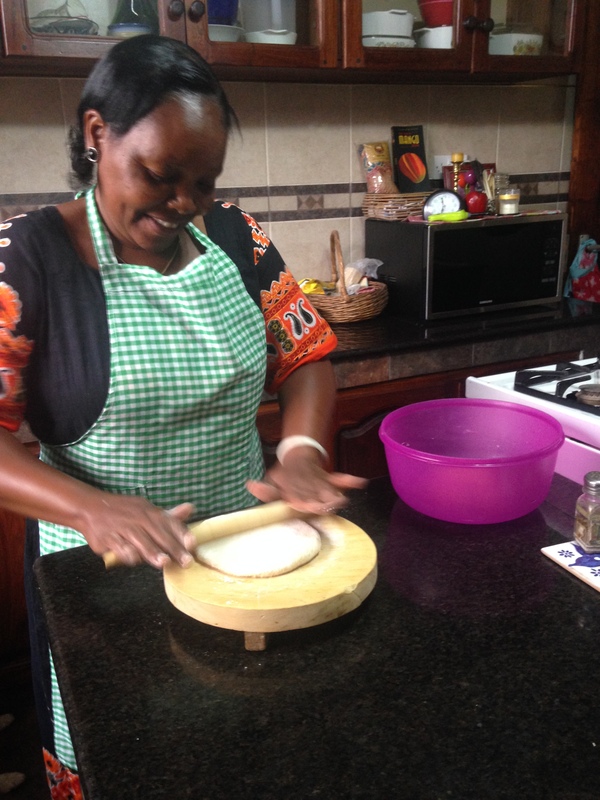 If you look in the purple bowl you will see that what Agnes is rolling out is only approx 1/2 of the dough. Heat up your cooking oil (or do this before you start rolling out the dough). 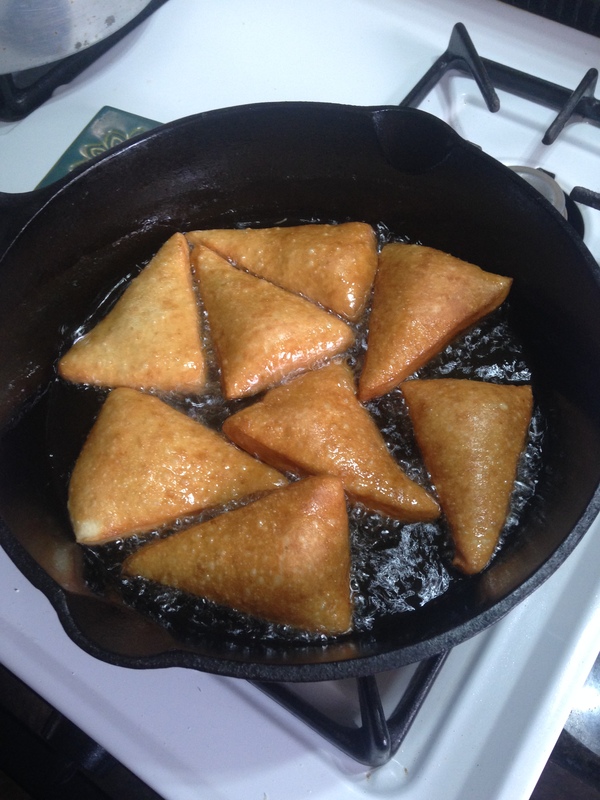 And begin frying your Mandazi’s. You will need to flip them. 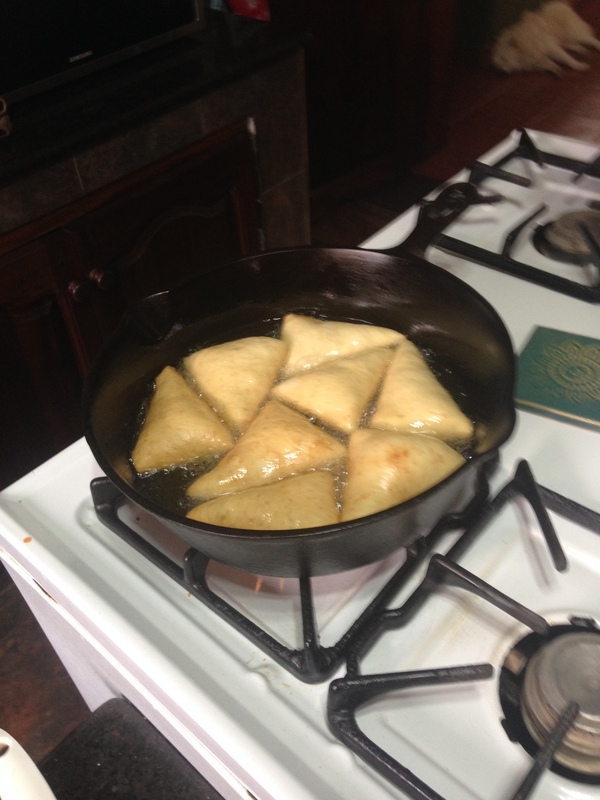 You want them to be a good, rich golden brown. Eat just like this, drizzle with honey, or toss in powdered sugar… Enjoy! Mix with hands and kneed into a ball. Let sit for 30 minutes (we covered our bowl with a towel). 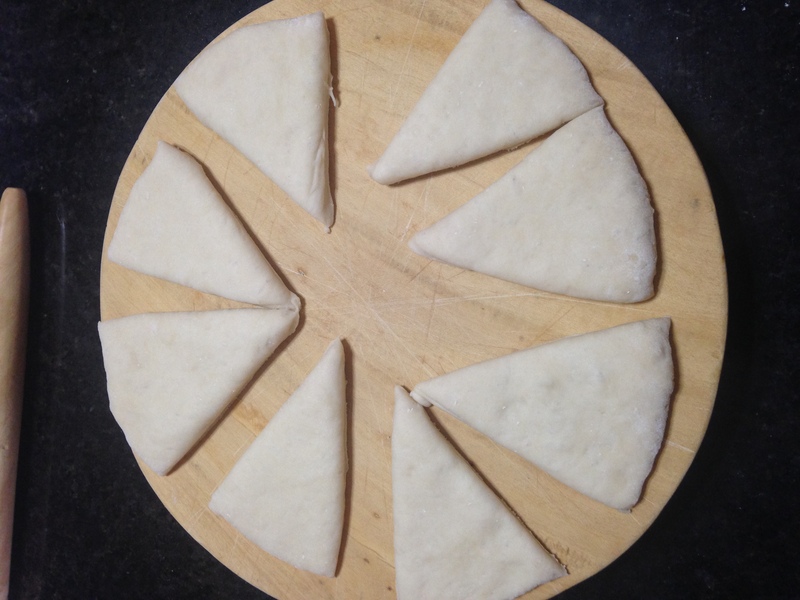 Roll out 1/2 of your dough – thin but not too thin and cut into 8 triangles. 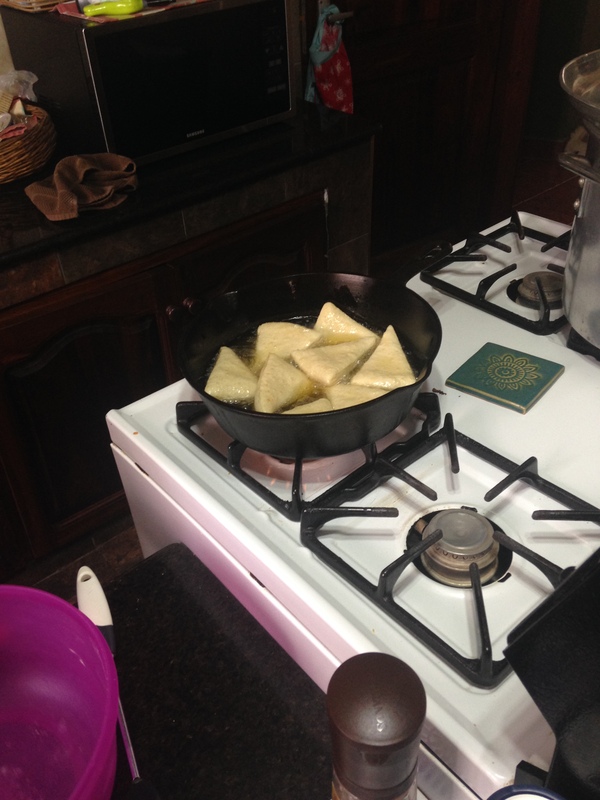 Fry in cooking oil until golden brown on both sides (you will have to flip). I hope you enjoy! Given that it is Monday – it is cooking with Agnes day again. 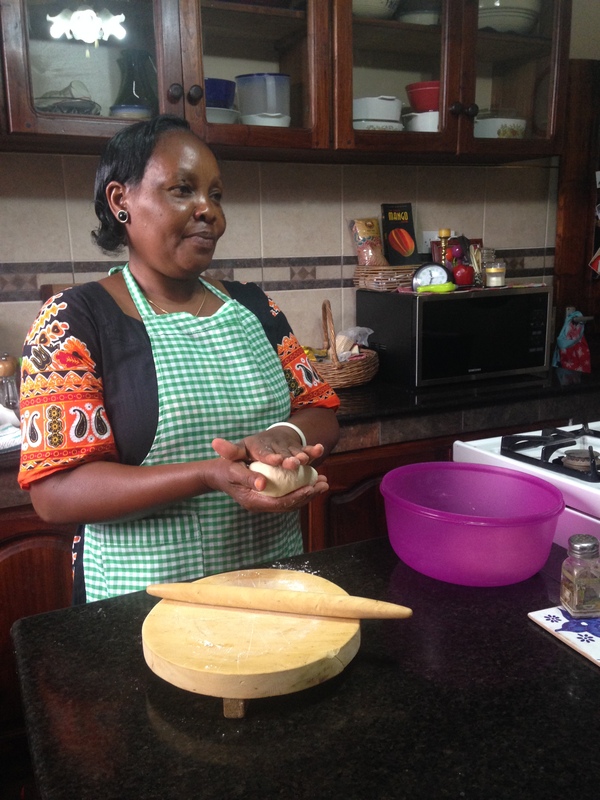 She is teaching us to cook traditional African dishes today! 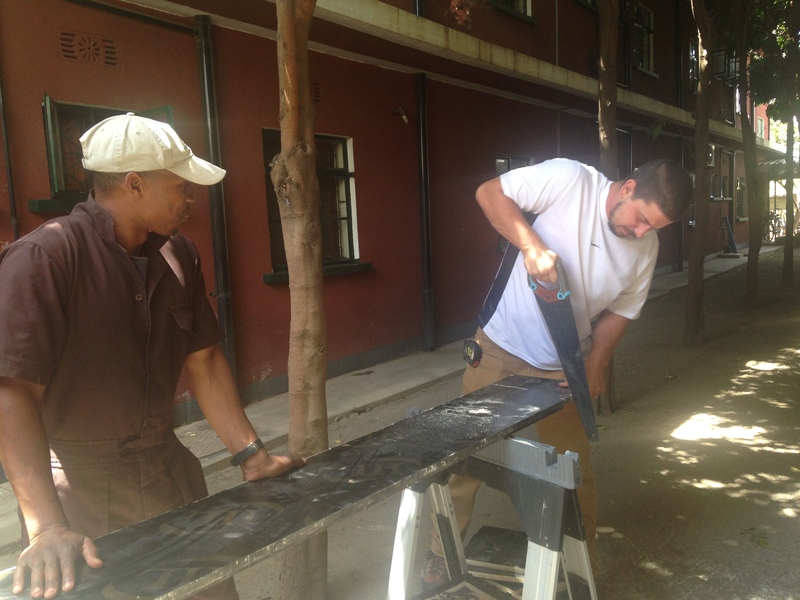 A lot has happened since we first arrived in Africa! Every day brings new experiences, lots of laughs, and crazy stories. Pole Pole (pronounced poe lee-poe lee – means slowly) we are learning our surroundings and we are thankful for the wonderful people we are surrounded by who make it easy for us. 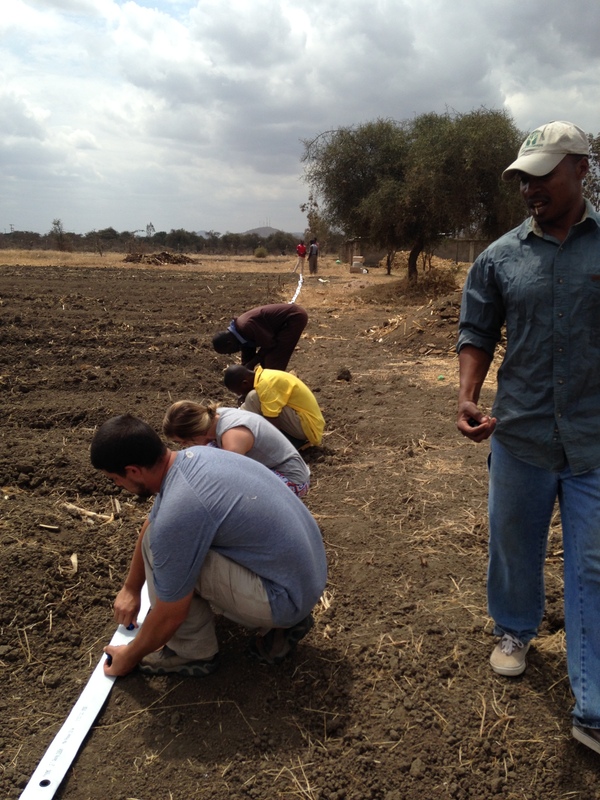 We have diligently been working on the shamba (farm) to improve what they currently have and make plans for future expansion. 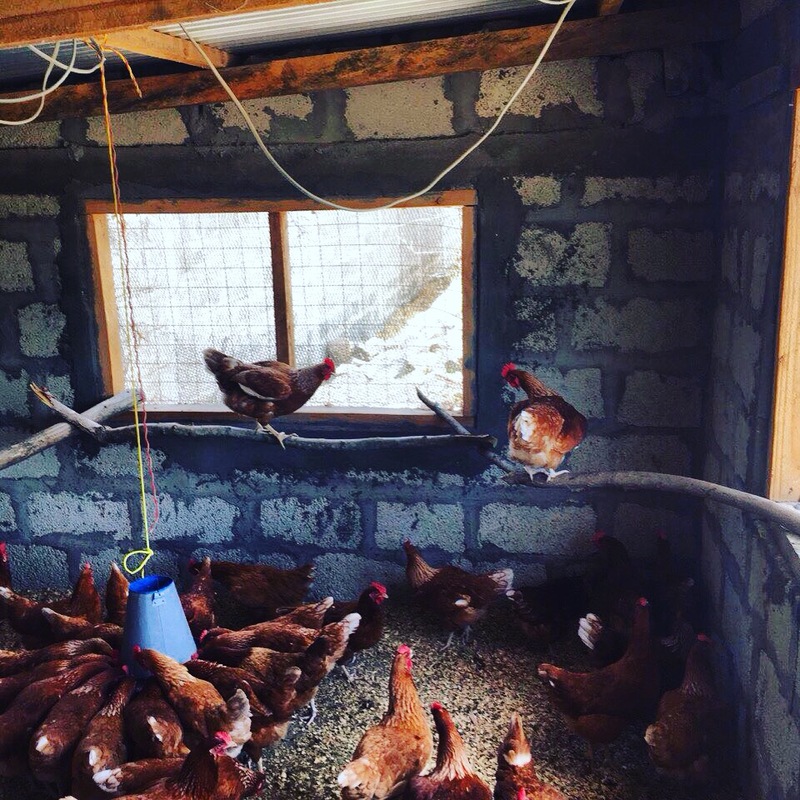 One of the first changes we made was to the laying hens nyumbani (new-m-bah-nee – home). They had a 100 hens in a large room with no where to roost and around 8-10 laying boxes on the ground. And then set to work on building new laying boxes – ones that were off the ground – and lots of them. Hens need 1 laying box per 4-6 hens. While there are still things we are learning and teaching with the layeres (like crushing up eggshells for the chickens to eat) we then moved to the garden. 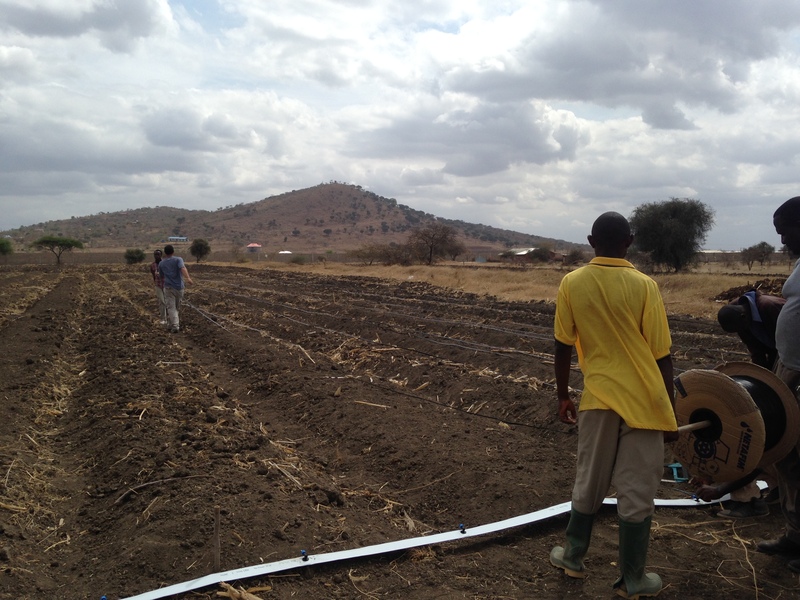 The short rains have now begun and we had lots we wanted to plant before they started. Some of the things we are planting are experiments to see how well they grow before we plant for the long rains (Mar-May). We were all celebrating when Healing Hands Int. 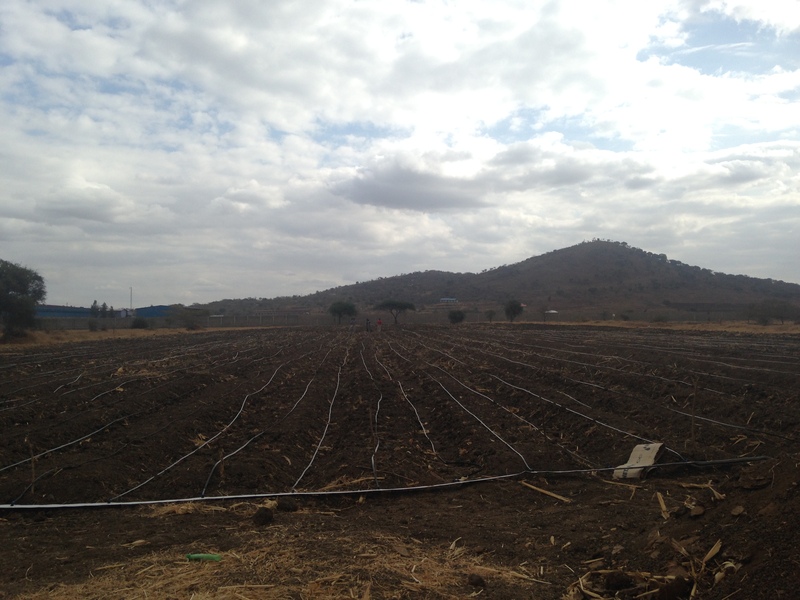 came in and finished the drip irrigation on our 1-acre plot. We are only using 6 rows for the short rains (we have a cut off in the waterline there) because the short rains do not produce enough rain for an acre plot. We would have to supplement too much water and it would be too costly. 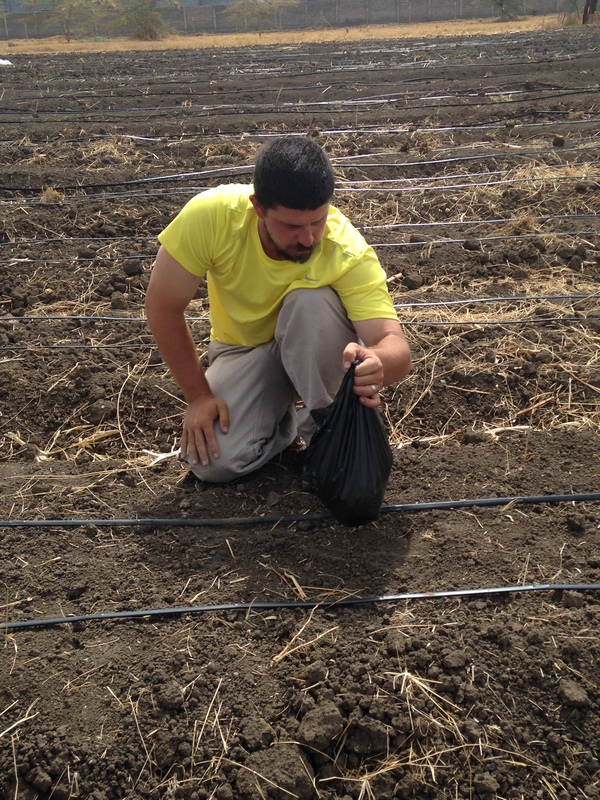 Here are pictures of us putting in the drip irrigation and planting beans in the 6 rows! 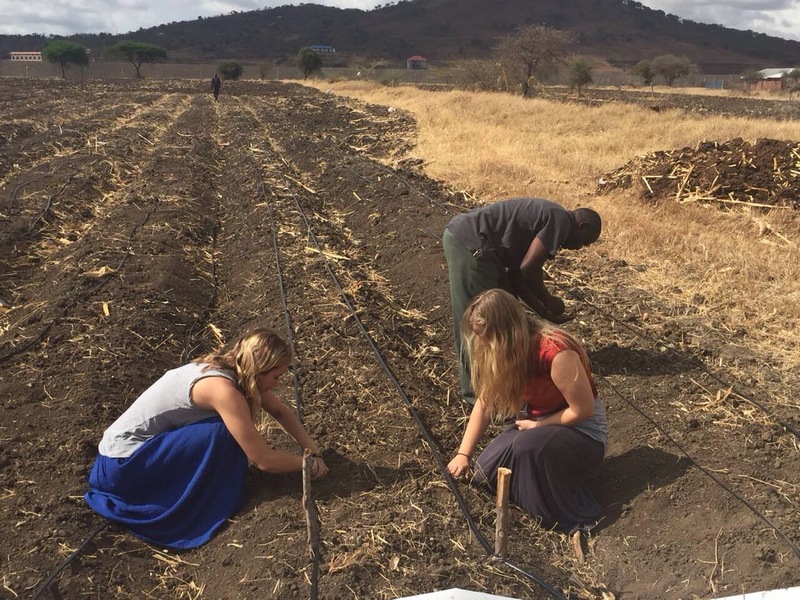 And then this week we were able to plant some Napier grass! This is a big deal for a few reasons. 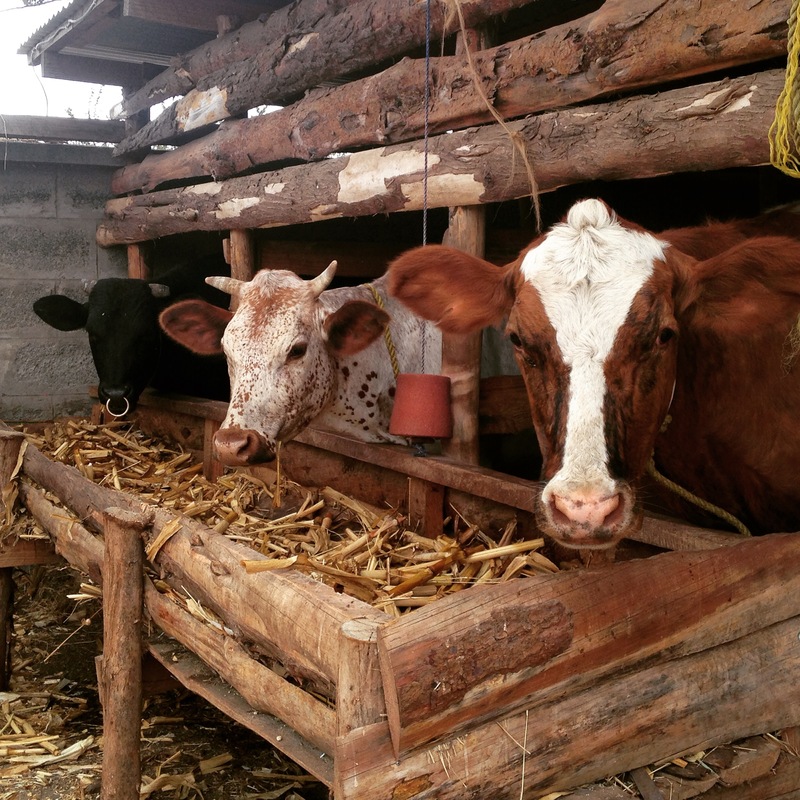 We have moved to the ng’ombe (cows) and trying to improve their production. 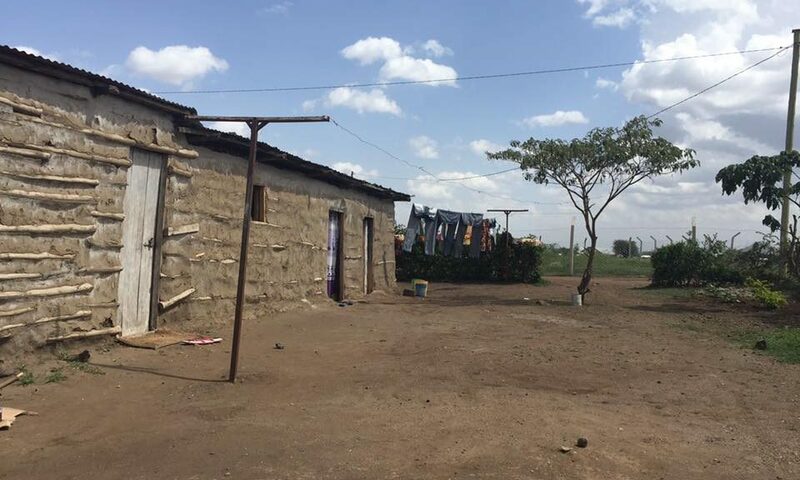 We met with a man in Monduli two weeks ago who really helped us a lot. 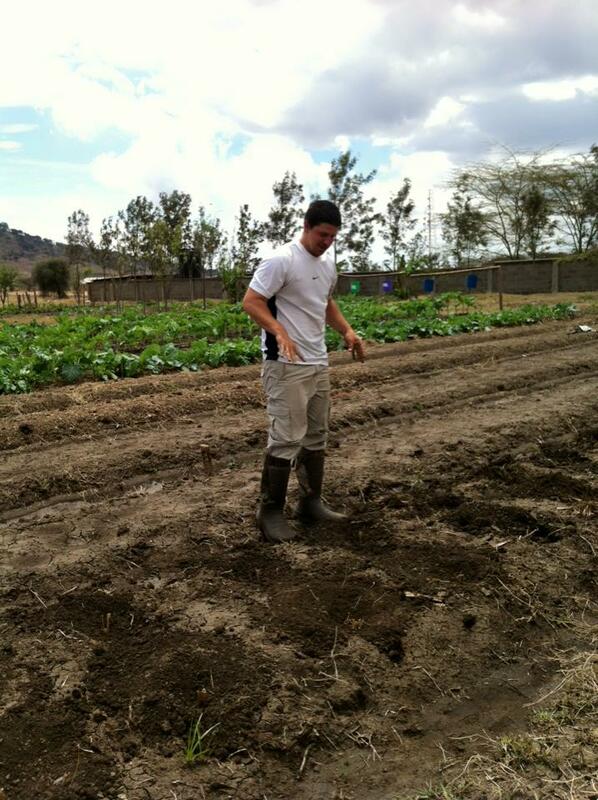 He raises dairy cattle and showed us his shamba. He explained what he does, what he would do if he could, and gave us material to read. 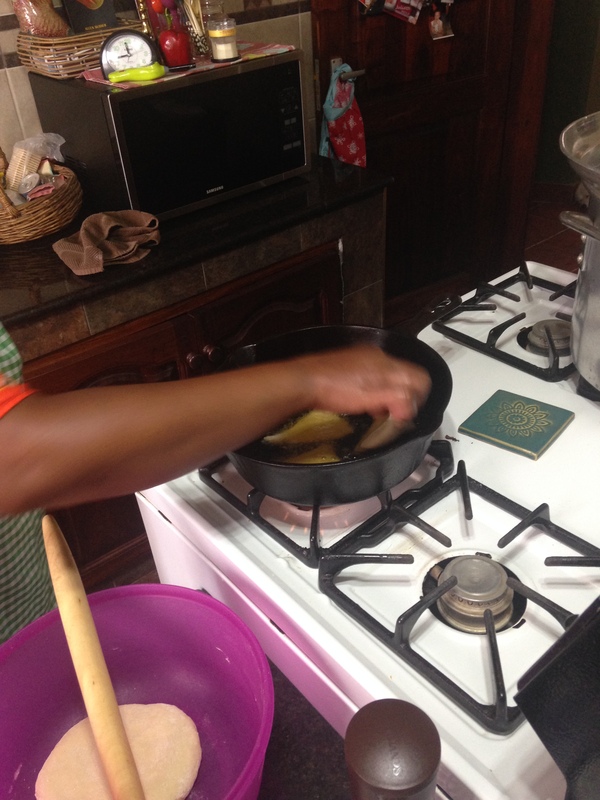 This man even uses the manure from the cows to make natural gas to use in his kitchen. He was a huge resource. We have also been watching some videos on youtube called Shamba Shapeup. They are in English and Swahili. These videos have been a huge asset because it takes the knowledge we gained in America and transfers it over to Africa using the resources available here. Seriously, give them a look and you will get a better understanding for how things work here. One thing this man and the videos keeps stressing is that, here, napier grass is what we need to be feeding the dairy cattle. And, this man and the videos, also stress that it is the best to make silage out of. So… we planted some napier grass thanks to a new friend of Justin’s, the local vet. He brought it to us yesterday and we quickly got it planted. Every day is something new and we are quickly adapting. There are lots of ways for us to expand and so many opportunities here. With all of the positives there are negatives also. Tuesday Justin received a call early in the morning that he was needed at the school. Long story short, someone forgot to lock the door to the laying hens house. The night guard forgot to check before he let the guard dogs out for the night. (The guard dogs are a huge necessity here to the safety of our animals) So, Justin arrived to find 20 of our laying hens eaten by the dogs. 5 more had to be slaughtered later that day due to injuries. I would be lying if I said this wasn’t a huge setback. 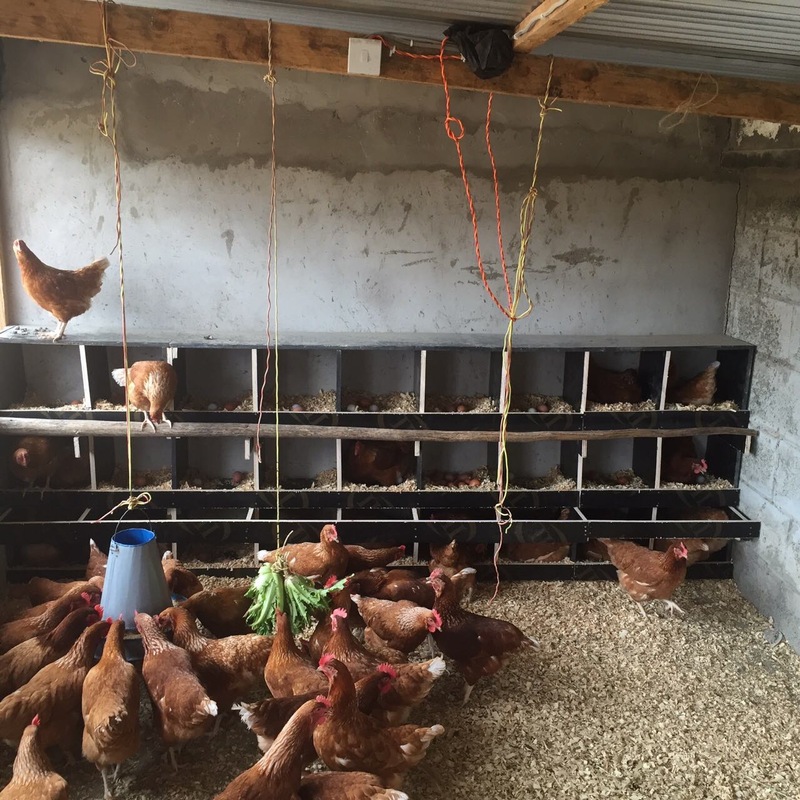 We have been paying for everything we have been doing for the farm since we arrived (buying feed, buying seed, buying medicine for the animals, purchasing new broilers every so many weeks, etc.) off the eggs we sell. Losing 175 eggs a week is a big deal. Not to mention they can’t just be replaced. 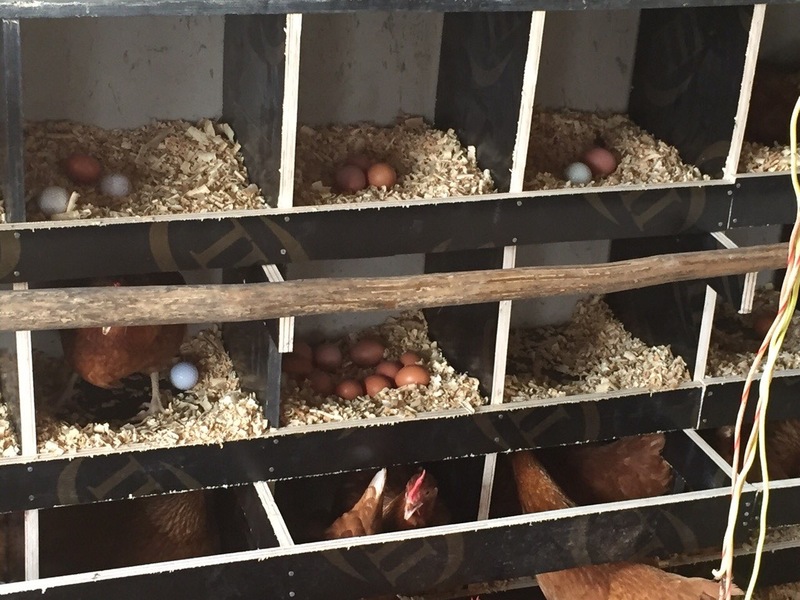 We would need to build an area to grow out more layers and then it would be 6 months before they start laying again. So, for the moment we are going to carry on with the current 75. There are plans to expand both the layers and broilers drastically so we will just be thankful that we only lost 25. PLEASE PUT FOR THE MAYNARDS – AFRICA. But most of all please just keep us in your prayers, this work, and these wonderful people. 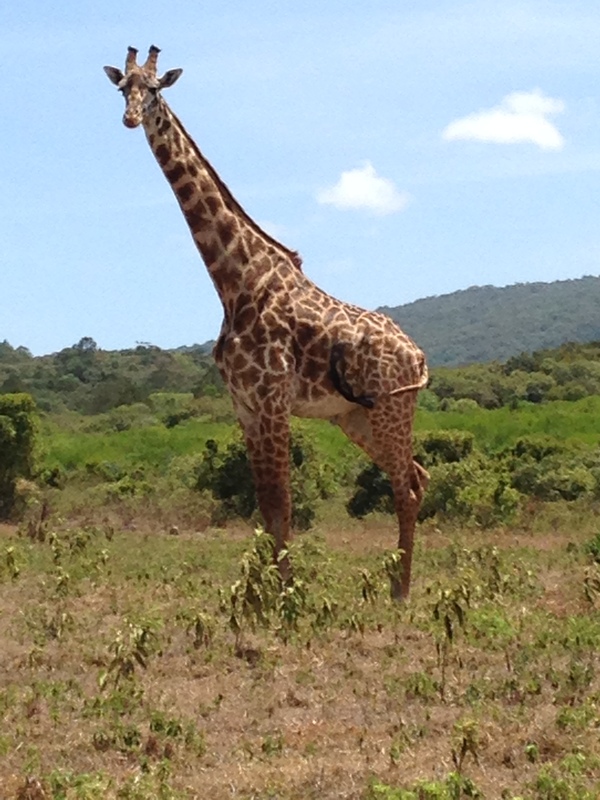 When we arrived in Africa it was a busy week. 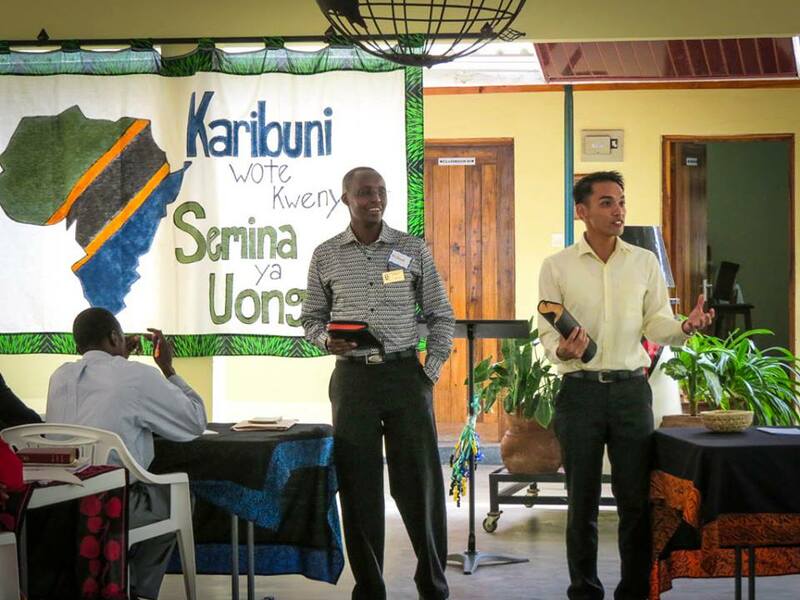 We showed up the same week as the Tanzanian Leadership Conference and that meant there were lots of people from Tanzania AND all over the world coming in. The home we live in (Cy and Stephanie Stafford’s) was a revolving door of new people. But we loved it. Justin and I quickly took to our new roles as hosts. 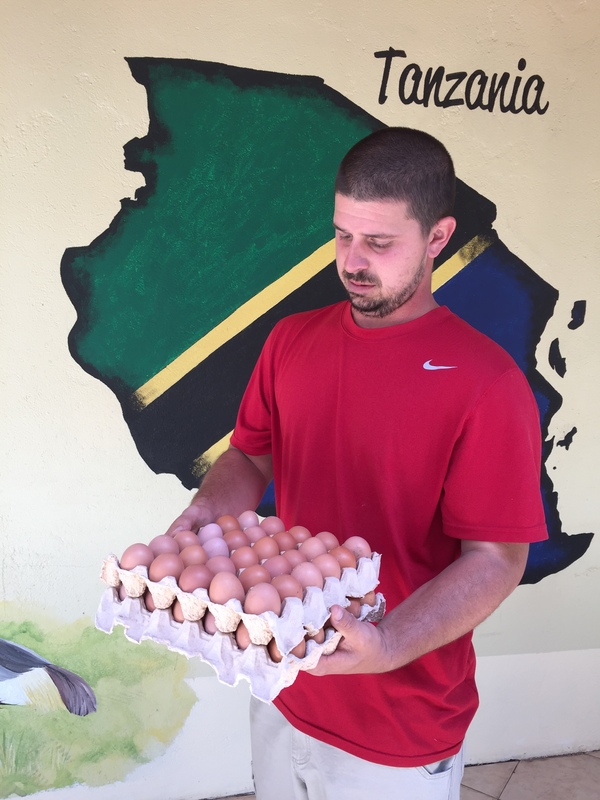 Cy left the first day of the conference, after he spoke, and so we spent our mornings making scrambled eggs from the school’s laying hens and making sure everyone was fed. The Leadership Conference itself was amazing. We heard some phenomenal lessons and I am sure everyone went away spiritually fed. Justin was asked on Monday (the Monday before the Leadership Conference started on Friday) if he would speak at the conference. Honestly, I was surprised he said he would – but that is only the beginning of the surprises since we moved here. 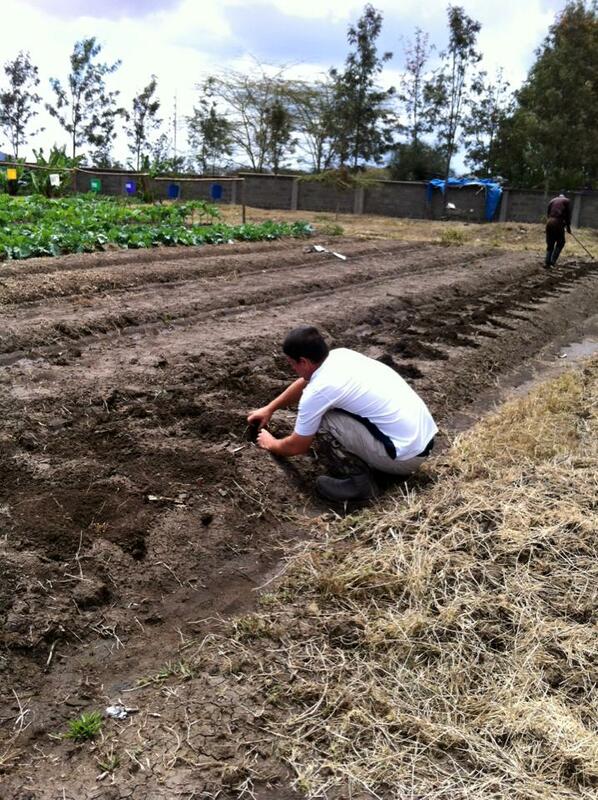 Justin has taken to Africa in a way I never thought he would. Samantha said (of Justin) the other day that he was like a chick that had suddenly pecked through his shell and realized there is a whole big world out there. Now, I will get back to Justin’s first sermon in just a few minutes. People started pouring in that week and goodness were we blessed to meet some of the Brotherhood’s finest. Sid Aultman came from Birmingham, Alabama. 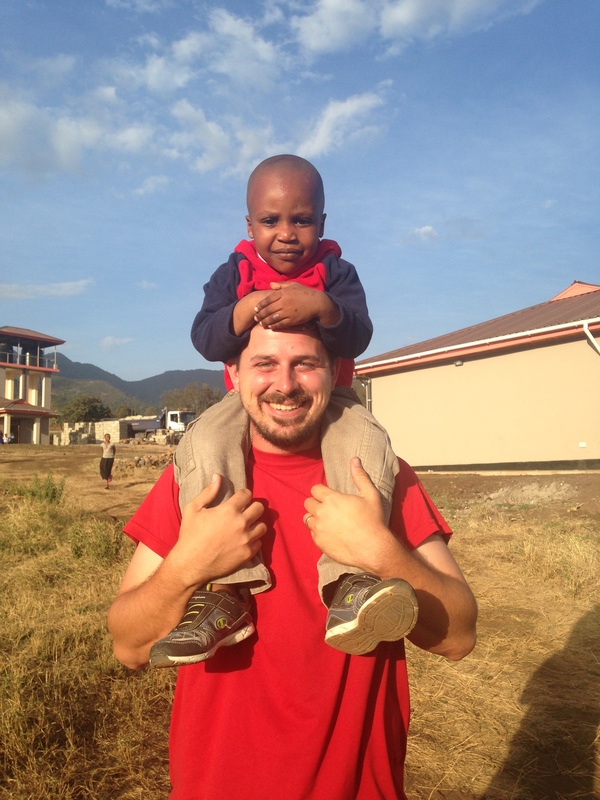 We had lived for 3 years less than two hours from him and yet we met in Tanzania, Africa. Our Bear Valley Brothers Wes Autry, Michael Hite, and Sean Hochdorf came and the week was filled with endless teasing and laughter. They are greatly missed. A fellow missionary, Dale (and I have suddenly drawn a blank on his last name), came from Malawi and he gave us lots of great tips on raising cows. Close to 200 brothers and sisters from all over East Africa came. Mike Benson, a friend from home is here, along with new friends Brian Horner and Diane. I have said all of this to tell you about one friend we met in particular. We had the privilege of meeting Phanat Ouch. Phanat was raised in a refugee camp in America. He grew up, just like any of us, in the wealth and pleasure of the United States. After high school he went back to his homeland of Cambodia. He learned the language, met his wife, and saw the great need for the Gospel in Cambodia. Like all of us are called to do (in one way or another), he left the comforts of America to further the Gospel of Christ. One of my favorite quotes from the week came from Brother Phanat – “The Kingdom of God has no borders.” If only we all saw the world in this way. If we could realize that it is not an “us” and “them” we could change the world. Now, back to Justin’s first sermon. If I could compare Justin to any biblical character, when it comes to speaking, it would be Moses. He can think of a 1,000 excuses why he can’t speak in front of people. But God takes our weaknesses and shows his power by making them our strengths. They are not our strengths because of our own doings but because of Christ in us. That is the best way I can explain what happened when Justin was asked to speak. Was he the most eloquent? No. Was he the most powerful? No. Did he make his point and God was glorified? Yes. The crazy part was he didn’t sound in the least bit nervous. When I asked him if he was nervous his reply was that he was before he went to speak but then he went to Charles’ office, prayed, and a peace settled over him. He said when he stood before everyone he wasn’t in the least bit nervous. There is so much being done here and so much still to do. Africa has a funny way of getting in your blood and coursing through your veins. I think it stays in your heart forever. I hope to post soon about all of the farm work being done. I will start working on that. But just like with this post… I started it when we had power, now I don’t, so it will be hours before I can post this and I just have to pray it doesn’t delete itself! Well, it is official. We have been American-Africans for one whole week. In this week we have learned a lot. If you ask for chips – you get fries. Driving rules are all subjective – unless you are a mzungu (white person) then you must obey all of the laws. Even if you are following all of the rules, you will be pulled over, just because you are a mzungu, and they will double check that you are buckled, have your insurance, drivers license, and your fire extinguisher. Yes, you read that right. You have to have a fire extinguisher in your vehicle at all times. Money is an interesting ordeal here. 10,000 shillings is the largest bill they have, then 5,000, then 2,000, then 1,000 and finally 500. Sounds cool until you think about the fact that 10,000 shillings is equal to $5. And given that inflation is so high now …. you have to carry around a lot of money. For example our grocery bill was 97,400.00 shillings (approx. $45.00 USD) so we had to have 10 bills just to pay for groceries. Okay all the funny things aside – we are in love with our new home. This week we spent time settling in, getting to know the area, meeting new people, and getting over our jet lag. Rome, Italy helped a lot with our jet lag but sleeping in African heat with no power – isn’t conducive for a good nights sleep. No complaints here though 🙂 we will get used to it. But yes, the power is out 12 or so hours a day and you never know if it will be night or day or both. Sunday morning we went to worship at the Arusha Kanisa la Kristo. We really enjoyed it. Thursday night bible study (yes, Thursday) we spent at Kisongo Kanisa la Kristo – which we were able to walk to. Tomorrow morning we will be joining Daniel Gaines at Usa river, where he will be preaching. Btw – Usa is pronounced ooo-suh. I cannot wait to share our journey with all of you – but please bare with us. The no-power-thing will be an issue. No power = no internet. And seriously, when you don’t have power during the day dishes, showers, clothes all get done first – and then if we don’t fall asleep first – Blogs. But there will be at least one every week or every other week. No worries. There is one thing I want to emphasize about our first week here and it can be summed up in one word: hospitality. This week has really made me rethink how we treat guests in our homes, in our Church, and in our community. 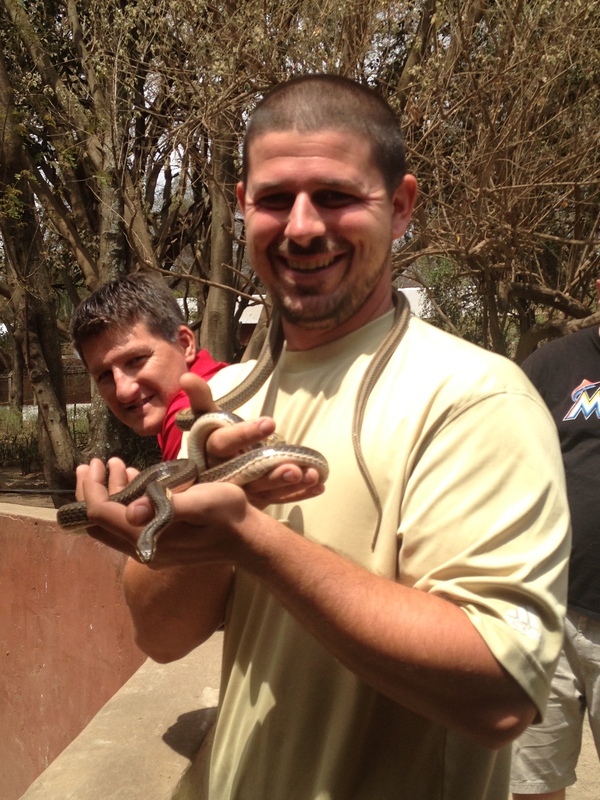 Daniel Gaines (one of the other missionaries here) has spent his entire week taking us to the grocery store, to the national park, to the snake park, to dinner, and to Church. Given that the Leadership Conference is next week, Daniel has a lot going on and shuttling us around was without a doubt a lot to pile on with his schedule. However, he did it without complaint and lots of laughs. 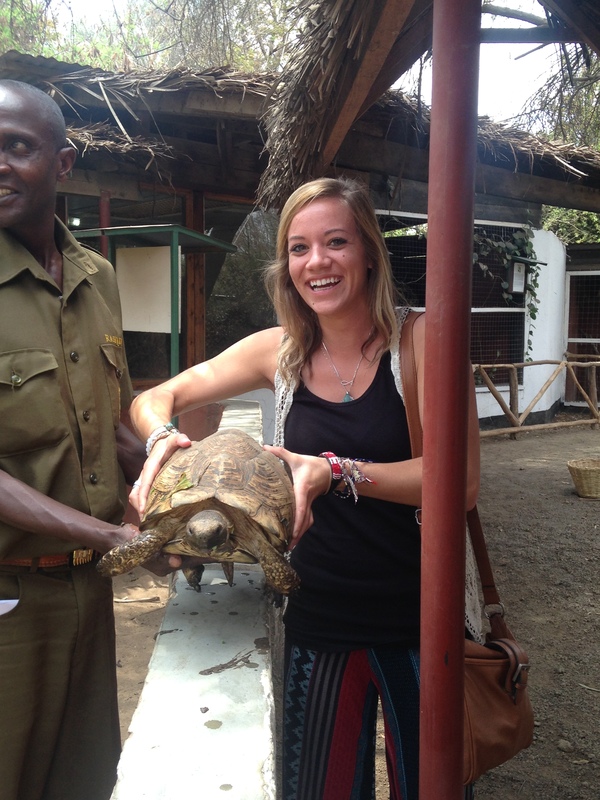 Everywhere we go we are met with, “karibu”, which means welcome. Just walking next door to the school can take 30-45 mins because we will be stopped by so many people wanting to say hello, welcome us, and ask how we are doing. 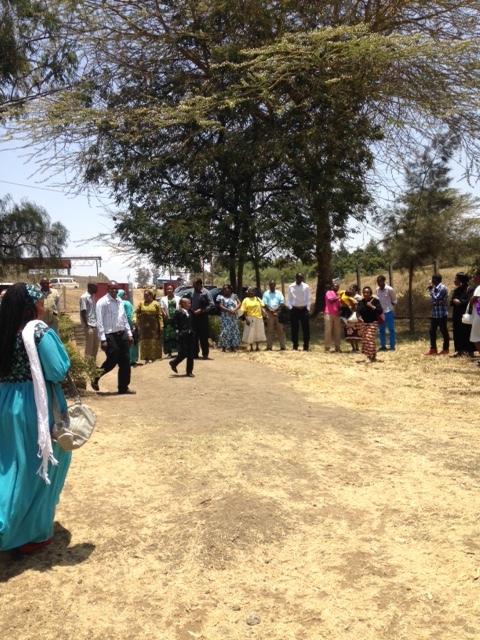 At Church both Sunday and Thursday night the congregation sang praise to God as they walked out of the Church and shook hands. Every single soul shook every other souls hands. When was the last time we did that? 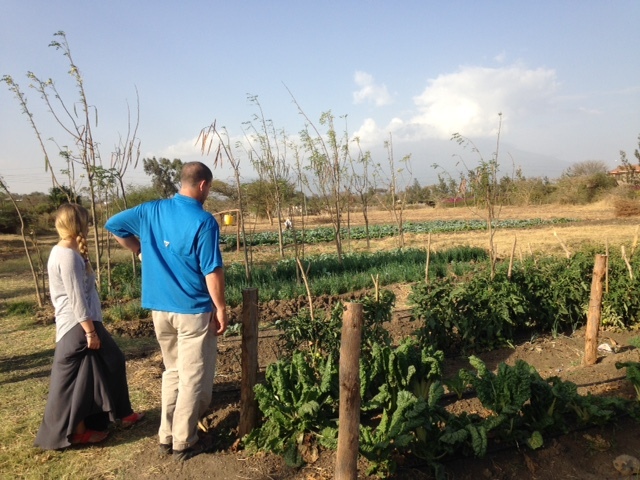 Their hospitality has reminded me of the story of Abigail in 1 Samuel 25. When Abigail’s husband, Nabal, refused his hospitality to David and his men Abigail could have easily said, “well he’s my husband so…” or even ignored the request altogether because it was not made directly to her, but to her husband. Instead, Abigail went out of her way to feed David and his army against her husbands wishes because it would please God. Because David belonged to God. Personally, I need to remember who I belong to and who others belong to. I need to work on pleasing Him by showing hospitality to His people.